Sasha Lecuyer scored 14 points, but Myerscough lost 41-67 to Charnwood on Wednesday. 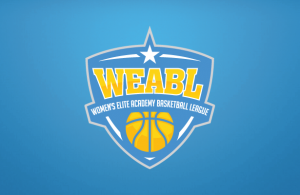 Paula Puzule added 10 points and Celina Eisenhardt had nine for Myerscough which has dropped back-to-back WEABL games to fall to a 2-2 record on the season. An evenly contested game early on saw the scores level at 22-22, before Charnwood broke the game open with a 21-0 run that spanned either side of halftime, including a 6-0 burst to close the first half. “I have to keep motivating our girls to perform at the level that I know they can,” said Myerscough coach Mike Bernard. Holly Davies led Charnwood with 10 points, while Ashante Richards and Holly Winterburn combined for 18 for Charnwood, who improve to 4-0 atop the Northern Conference standings.